Momordica charantia, more commonly known as bitter melon, bitter gourd, bitter squash or balsam-pear is a fruit native to tropical regions of the world, including South America and East Africa. 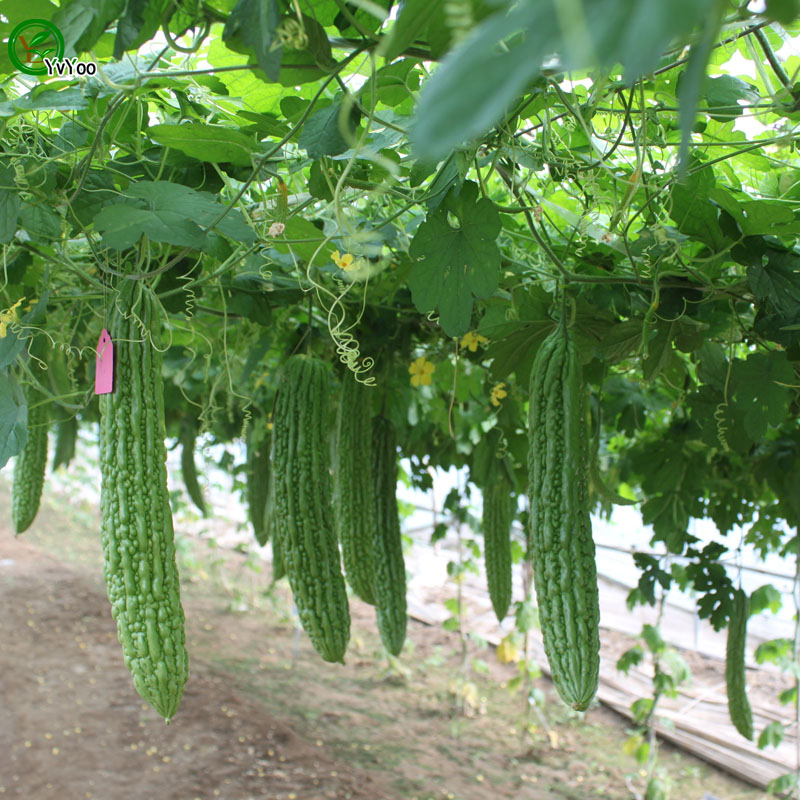 It is a tropical and subtropical vine of the family Cucurbitaceae, which include gourds, melons, cucumbers as well as squash. It is extensively grown in Asia, Africa, and the Caribbean because of its edible fruit, which is extremely bitter. It is grown as an ornamental and vegetable crop. Its many varieties differ significantly in the shape and bitterness of the fruit. Momordica charantia is a climbing, nearly smooth, annual vine along with yellow flowers and yielding a fruit that can be either ovoid (wild) or oblong and cylindrical (cultivated), with pointed ends which are ribbed and wrinkled. Green Lover, India Long Green, India Long White, Japan Green Spindle, Hong Kong Green, Hybrid Baby Doll, Hybrid India Baby, Hybrid India Green Queen are some popular varieties of bitter gourd. This herbaceous, slender perennial, climber, tendril -bearing vine grows to 5 meters (16ft. ).It is found growing in tropical and sub-tropical regions with warm, sunny locations. It prefers light–textured, free draining, and loamy soils rich in organic matter. Water-logged soils must be avoided. It has central taproot and stem is slender, grooved, slightly pubescent and light green. It branches from the base. Leaves are alternate, suborbicular or broadly reniform in outline, 10–12 cm long, 5–8 cm wide. Flowers are solitary, axillary, and unisexual to monoecious, yellow on long, slim peduncle bearing a foliaceous. Flowering normally starts from June to July. It is a fast-growing, trailing or climbing vine with thin stems and tendrils which need trellis to support their climbing vines. Bitter Gourd is long-peduncled, obovoid or oblong-cylindric shaped fruit, coarsely ridged and bumpy-tuberculate, different warty exterior 7–30 cm. It is emerald green when young, turning to orange-yellow when ripe. Internally, the flesh is white along with rough edged seeds. It is normally bitter in taste and is harvested before ripening; it becomes increasingly bitter as it matures. 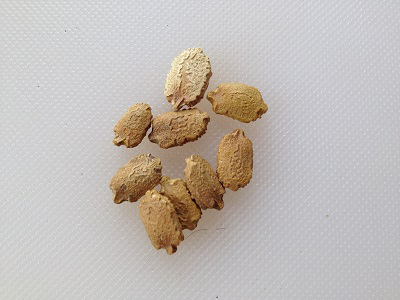 Seeds are oval elliptic, almost toothed at the top, 10 to 16 mm long and 7-9 mm wide and 2-3 mm thick, covered by a red mucilage. Seeds are white in raw fruits and red as soon as they are ripe. 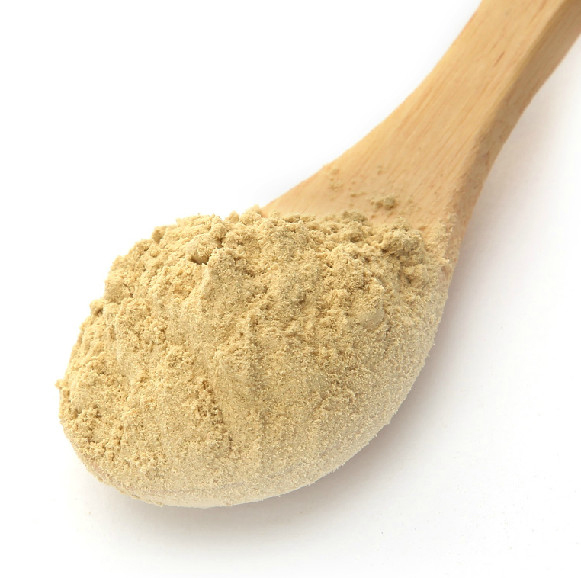 It’s got typically been utilized like a food as well as medication throughout the world. 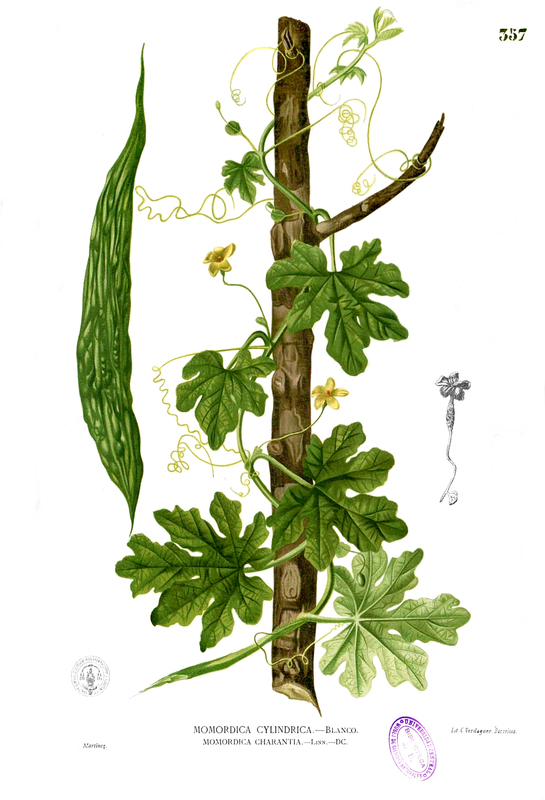 Leaves and fruit of the bitter gourd plant contain abundant vitamins, like vitamins A and C and also the B-complex vitamins. Apart from its bitter taste it is full of important nutrients, minerals, vitamins which are essential in our daily lifestyles. Exact origin of bitter gourd is unidentified; it is found in the old world tropics perhaps in India or China. Bitter gourd is extensively distributed and cultivated throughout the tropics and is adventive in the New World. Because of its numerous health benefiting features it is grown throughout the world nowadays. Apart from their bitter, undesirable taste bitter gourd is a good source of nutrients, vitamins and minerals. Consuming 62 gram of bitter gourd offers 20.5 mg of Vitamin C, 32 µg of Vitamin B9, 0.48 mg of Zinc, 198 mg of Potassium, 1.2 g of Total dietary Fiber, 22 mg of Phosphorus, 0.24 mg of Iron and 0.032 mg of Vitamin B1. Calories 12 Kcal. Calories from Fat 0.99 Kcal. 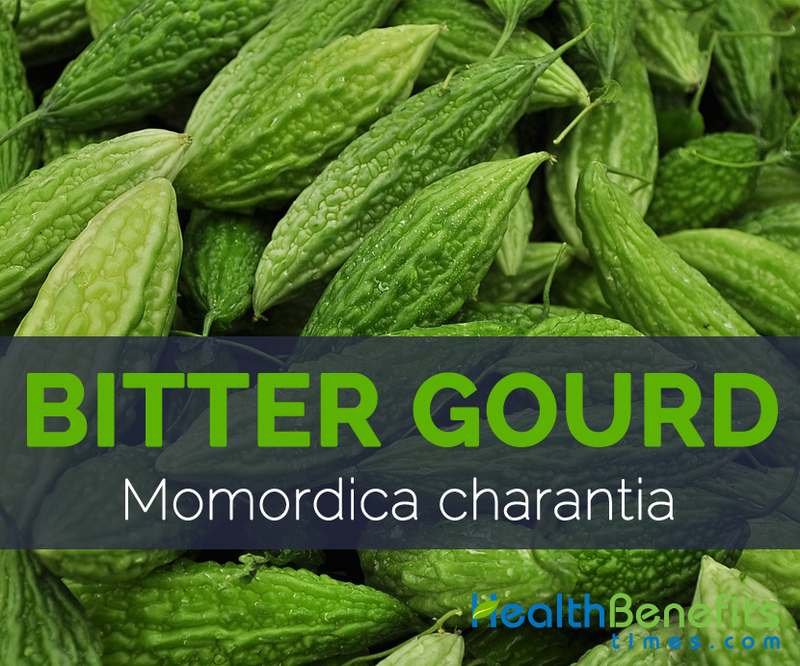 Bitter gourd is loaded with essential nutrients, minerals and vitamins which are essential to live healthy life. It is found beneficial in diabetes, different cancers, fungal infections, hemorrhoids and many other diseases. Diabetes can be managed quite well by dietary changes, modest exercise, effective weight reduction, as well as natural supplements for example herbs, vitamins, amino acids, enzymes and minerals. Research concluded that a water-soluble extract of the fruit considerably decrease blood glucose concentrations during a 50-gram oral glucose tolerance test in the diabetics. Bitter melons might encourage the release of insulin when needed the most. It also relieves the dehydration that frequently accompanies diabetes. 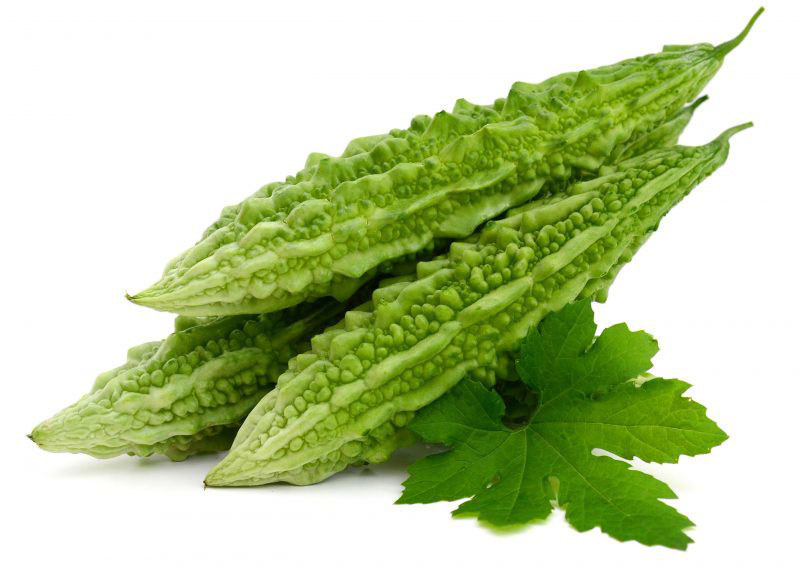 Bitter gourd is essential for lowering the risk of gout as it is loaded with Vitamin C. Gout is a painful condition where big toe becomes stiff, painful and inflamed because of extra uric acid leading to crystals formed in joints. Research concludes that consuming vitamin C on a regular basis will help to reduce the chances of gout. It is also concluded that nearly 1500 mg of vitamin c per day have nearly half risk of getting gout. Consuming vitamin c rich food regularly is beneficial for Gout. Bitter gourd is supportive in treating numerous mental and emotional disorders. Anxiety and depression are two of the most common mental health problems which are cured with regular consumption of Vitamin B9 rich foods like Bitter gourd. Eczema also known as atopic dermatitis is actually an inflammatory and chronic disorder of the skin caused due to zinc deficiency. Zinc is important for healing chronic infections and helps body to restore its capability to heal completely and effectively. The irritation is cleared up by re-balancing the zinc content in your blood. So consume zinc rich bitter gourd regularly to be safe from eczema. Normal blood pressure level is essential to remain healthy and bitter gourd helps us to normalize our blood pressure level. Potassium present in bitter gourd is helpful in reversing the role of sodium in unbalancing normal blood pressure. It is a main component that maintains normality of blood pressure in human. Apart from that it helps to decrease the chances of hypertension as well as heart diseases. Regulation of blood pressure is one of the most important functions of potassium due to its vasodilating properties which work to relieve the tension of blood vessels that is one of the main reasons of high blood pressure. Apart from helping digestion and avoiding constipation, dietary fiber adds bulk to the diet that is a key factor for losing body weight and maintaining body weight. Adding bulk can help you feel full faster. As fiber remains for a longer time in the stomach than other foods, that feeling of fullness will stay with you much longer, helping you eat less. Fruits and vegetable are fiber rich foods and have low calorie, therefore adding fiber to your diet, it’s easier to cut calories. Mature, unripe green fruits and young tender leafy shoots are eaten as vegetables. Bitter melon is often used in stir-fries (often with pork, chicken and douchi), soups, and or sliced and stuffed with minced pork or fish paste in China. Dried Bitter melon slices are used as herbal tea. Raw bitter melon slices are consumed with dried meat floss and stuffed to make bitter melon soup with shrimp or sliced and used with eggs in soup in Vietnam. Bitter melons stuffed with minced pork are served as a popular summer soup in the South. It is a noteworthy component of Okinawan cuisine and is deemed as its national vegetable and honored with a special festive day – Goya honoring day. Fermented bitter melon tea is popular in Okinawa. Bitter melon is enjoyed in numerous dishes in the Philippines. Fruit of the wild form is roasted over fire and consumed with either salt or“heko”. Cultivated form is eaten as a vegetable with shrimps or eggs, meat and diced tomatoes or as stir fries with minced beef. Sliced bitter melon is mixed with salt, washed and made into salads with sprinkling of shredded ‘tinapa ’, onions and vinegar. Popular dish from the Ilocos region of the Philippines, pinakbet, includes of bitter melons, okra, lima beans, eggplant, string beans, tomatoes and other various regional vegetables stewed with a little bagoong -based stock. Young shoots and leaves are consumed as greens in the Philippines. Bitter melon is used in stir fry, cooked in coconut milk, or steamed in Indonesia. Fruit is cut length-wise and the halves are stuffed with fried fish, meat or spices and then tied stuffing with sereh (Piper sarmentosum) leaves and stewing them. Bitter melon fruit is wrapped in trasi and wrapped in a banana leaf and roasted in the ashes. The fruit is also cut into pieces and boiled with lombok, coconut milk, onion and salt. Tender leaves and young fruits are eaten as lalab or sepan or as belem. Bitter melon is used in stir fries, soups, with chicken or beef slices and ginger, or stuffed with various types of minced meat in Malaysia. It is popularly used in curries in India. Bitter melon stuffed with spices and fried in oil is popular dish in Punjabi and Tamil cuisine. In Kerala it is used in a dish called thoran mixed with theeyal and pachadi. Bitter melon is used in a delicacy called gojju which tastes great with dosas and chapatis in Karnataka. Bitter melon achar is popular in Nepal, so is bitter melon curry on its own, or combined with potato, or as stuffed vegetables. Whole bitter melon is boiled unpeeled and stuffed with cooked ground beef and is served with hot tandoori bread, nan, chappati or with khichri in Pakistan. Sliced bitter melon is normally cooked with lots of onion. Bitter melon is sautéed with garlic, onion and scotch bonnet pepper in Trinidad and Tobago. Almost all parts of the plant are used in traditional medicine. Plant is traditionally used as anti-diabetic, anthelminitic, antibacterial, anti-tumor and also used in liver disorders. Whole plant along with other medicinal herbs is used for snake-bites in Senegal. Plant is used as a laxative, for stomachache, a taenifuge and anthelmintic, and to treat fevers in West Africa. Plant is used as taenifuge especially in children in Congo. Plant is used with other medicinal plants and processed into an ointment for skin affections like scabies, psoriasis and other diseases in India and Japan. Fruit is used as a bitter stomachic and a purgative in Nigeria. Bitter melon fruit is used to treat gastrointestinal diseases, and extracts have shown activity in-vitro against the nematode worm, Caenorhabditis elegans in Togo. Fruit is used as an appetite stimulant and as a treatment for gastrointestinal infection and against breast cancer in traditional Chinese medicine. 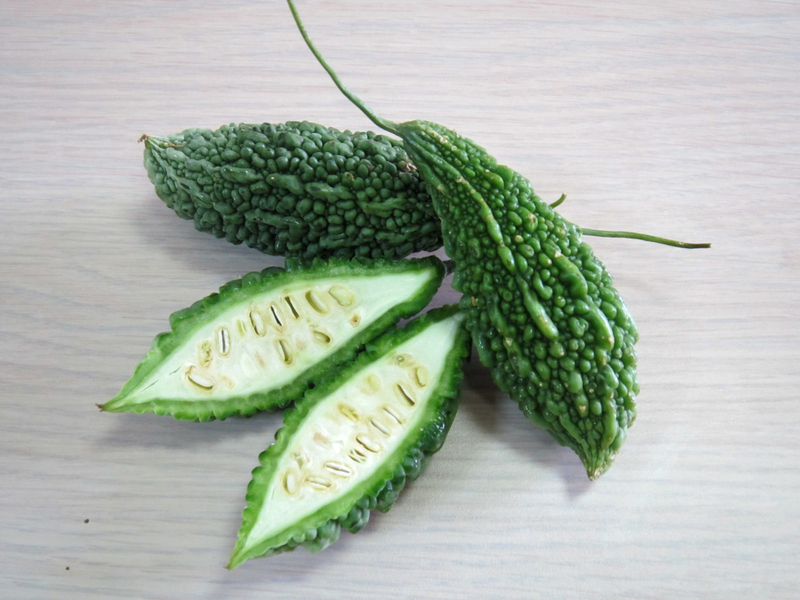 Bitter gourd fruit is regarded as good for dysentery, liver diseases, sunstroke, inflamed eyes tonic and purgative in China. Bitter melon is traditionally regarded useful for preventing and treating malaria by Asians, Panamanians and Colombians. Fruit have medicinal properties along with potential for decreasing diabetes mellitus. Fruit is considered tonic and stomachic, and is useful in rheumatism and gout and in diseases of the spleen and liver. Fruit is considered a remedy for catarrh, fluxes, and children’s coughs. 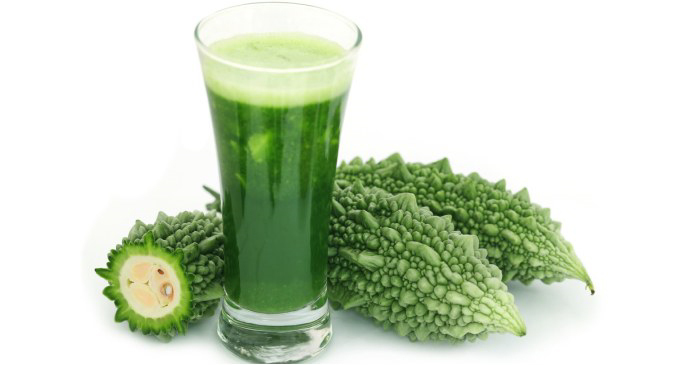 Juice from the green fruit is used for chronic colitis in Philippines. Seeds are used as anthelmintic in Brazil and for round worms in Zaire. Leaves are used as external application in different skin aliments, leprosy, burns and scalds and as poultice for headaches. Sap of the leaves is used as a parasiticide, and when softened in oil, is employed as a vulnerary. It is good for bacillary dysentery. Juice of the fresh leaves acts as a mild purgative for kids. Pounded leaves are applied to the body for scalds, burns, skin diseases and to the abdomen of children for stomach-ache in Malaysia and India. Leaf infusion is drunk for headache. Leaf juice is taken as vermifuge for children or gargle for sprue; leaf poultice for headache and flowers used in an infusion for asthma in Malaysia. Leaf juice is taken for bilious complaints in India. Leaves are used as febrifuge; a plaster of crushed leaves is used as plaster for skin parasites like filarial and Guinea-worm, and for menstrual problems in Senegal. The root is sometimes used as an ingredient in aphrodisiac prescriptions and fruit or seeds, is also used as an abortifacient, as well as a remedy for urethral discharges and is used externally to hemorrhoids. 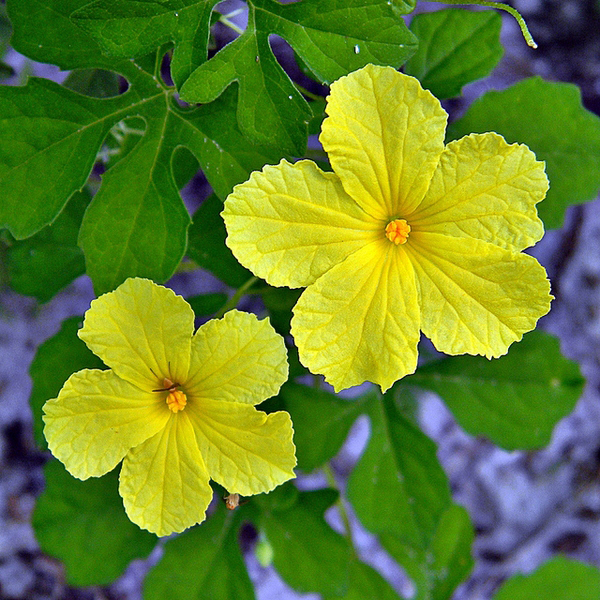 Vine is used for diabetes and urinary complaints in the West Indies. Roots are used for treating syphilis, rheumatism and yaws in Senegal. Leaves are used to clean metals. 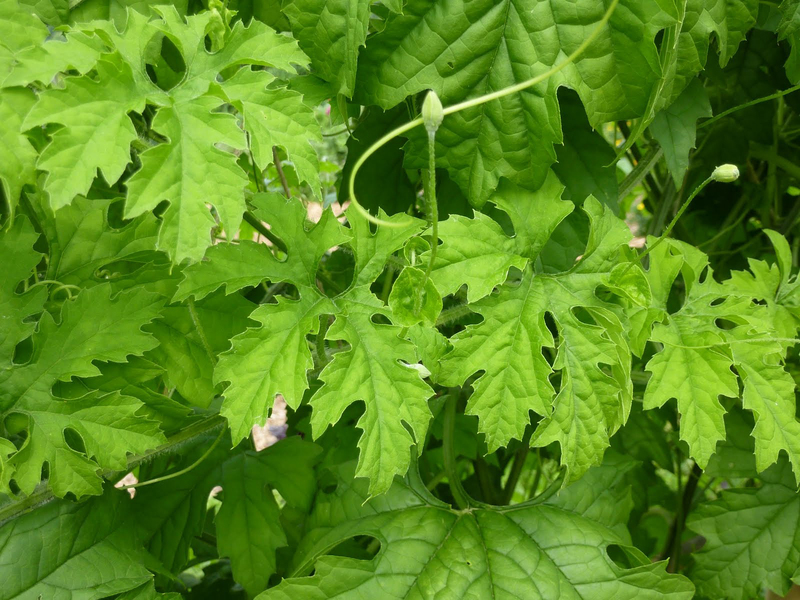 Leaves contain cucurbitane glucosides which are toxic to certain insects and can be used as insecticides. Bitter melon is contraindicated in pregnant women since it can encourage bleeding, contractions, and miscarriage. Bitter melon may cause allergic reactions in people with allergy or hypersensitivity to members of the Cucurbitaceae family. 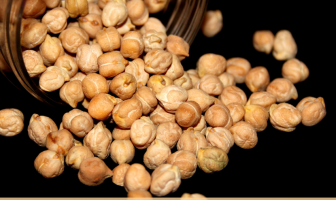 Plant has been documented to reduce fertility in both males and females and should therefore not be used by those undergoing fertility treatment or seeking pregnancy. People suffering from hypoglycemia must not consume bitter melon as it might make their condition worse. Bitter melon lowers the level of blood glucose, it can cause coma in those vulnerable to hypoglycemia. Bitter gourd also known as bitter melon, African cucumber is a herbaceous, slender perennial plant found growing in light–textured, free draining, and loamy soils rich in organic matter. Apart from its bitter taste it is full of important nutrients, minerals and vitamins. Native Originated in India and was introduced into China. Soil Light–textured, free draining, and loamy soils rich in organic matter. Water-logged soils should be avoided. Stem Stem is slender, slightly pubescent, grooved and light green. It branches at the base. Momordica charantia var. longirostrata Cogn. Momordica thollonii Cogn.Sicyos fauriei H. Lév.